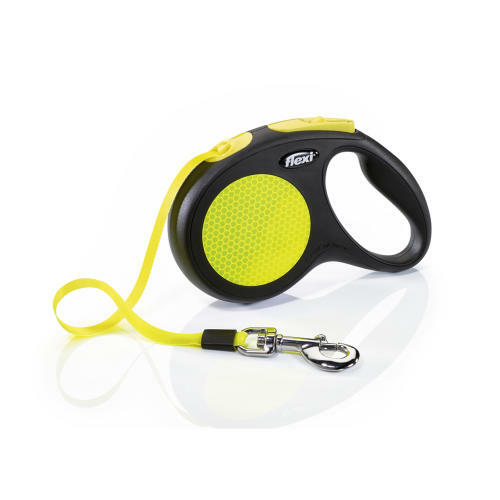 The Flexi New Neon 5m Tape Black Dog Lead offers increased safety for dogs and their owners in all weather conditions thanks to the highly reflective side panels and neon coloured tape. The Flexi New Neon 5m Tape Black Dog Lead offers plenty of freedom of movement and good visibility for extra small dogs up to 25 kg. Suitable for use in all weather conditions. Reliable handling thanks to fast response by the innovative braking system.